Navigate to the location where you want to save the file, and change the filename if you wish. 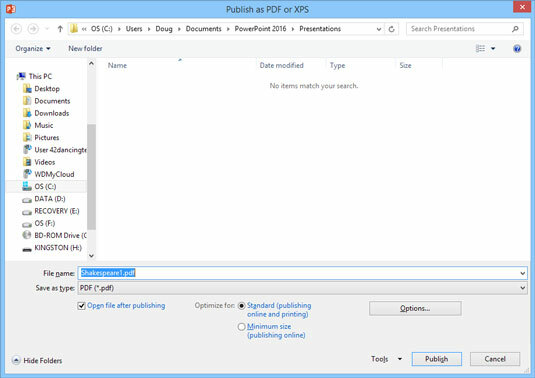 The default is to save the file in the same folder as the PowerPoint presentation, using the same name but with the extension PDF. Select the appropriate optimization setting. The two choices are to optimize for standard use or to minimize the file size. The quality will be slightly reduced if you opt to minimize the file size. The presentation is converted to a PDF file.